Staff will be in the office Wednesday through Sundays from 11am to 3pm. 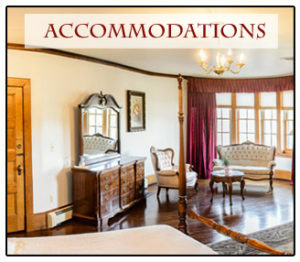 Call 845-986-6099 to inquire about Special Events, Weddings, Rooms, Dinner Reservations or more! What began as a plain early American homestead has been reborn centuries later as a cradle of European hospitality. The story of the Chateau Hathorn begins with a colonial era love story. When Benjamin Burt migrated here from Ridgefield, CT around 1748, he married a local girl, Anna Blain, and the couple settled on land adjacent to her parents. After a long life together the loving couple died within one hour of each other in 1796, and were laid in the same grave on their farm. Wednesday and Thursday for just $95.00. Includes a bottle of wine! 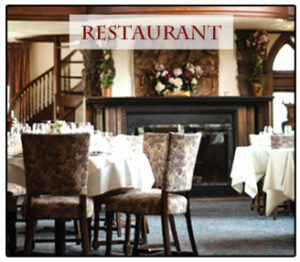 The Chateau Hathorn offers fine Swiss and French cuisine in an authentically furnished 18th-century private mansion. Chef Dolph Zueger prides himself on using only the finest ingredients, many coming from local farms. Our poultry is free-range and all natural with no hormones. Our wedding reception was a DREAM. Everything was PERFECT! I can’t praise Helene, Dolph, Sandra and the staff enough. I didn’t have to worry about anything. The way in which my husband and I were taken care of was phenomenal. The professionalism and attention to detail that the Chateau Hathorn put into our wedding day was like no other place in this world. 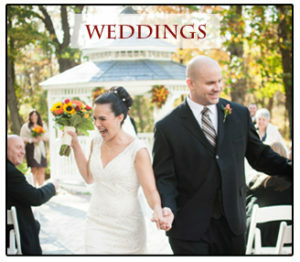 I continue to hear from guests that it was the best wedding they had ever been too. The Chateau will always hold the most special place in our hearts. Shawn and I both wish to “Thank You” for Giving us the most perfect wedding day imaginable! You and your staff should be commended on your attention to detail and exceptional service! The setting was gorgeous, the food fabulous and we could not have been happier with how the day went! All of our guests are still talking about how “perfect” our wedding was. We cannot Thank you enough for making our special day such a wonderful day! With our warmest thanks for your special friendliness and attention (V.I.P) treatment. Words can’t express how much it meant to us. 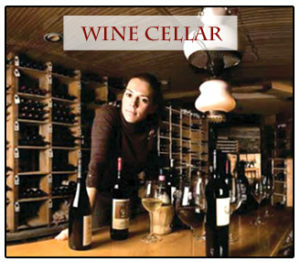 The wine cellar was especially unique and interesting. Loved the adorable bridal suite.